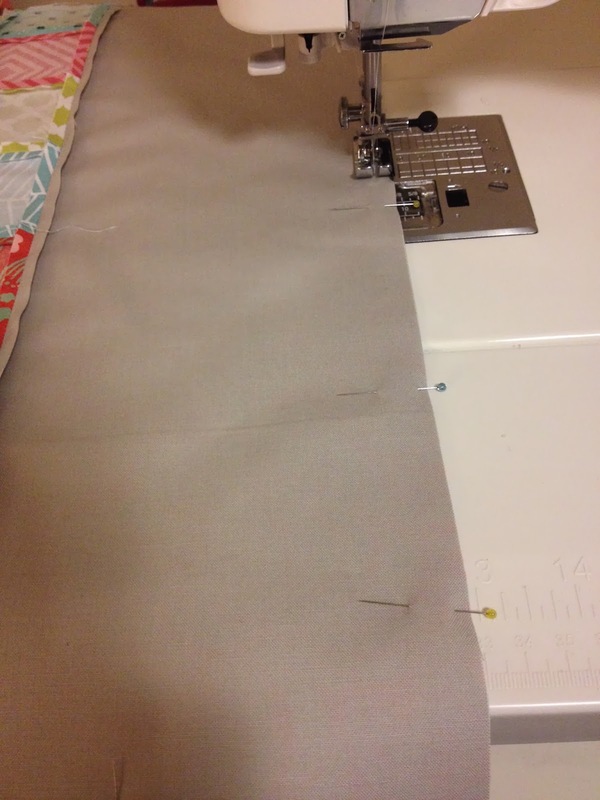 Today, Anna from Hoot'n'Haller, is sharing her tutorial about how to make a quick and easy sewing machine cover. My sewing machine really needs a cover, I wonder if your's does too. It seems that I am constantly putting off making things for my own sewing room - I might have to fix that this weekend. 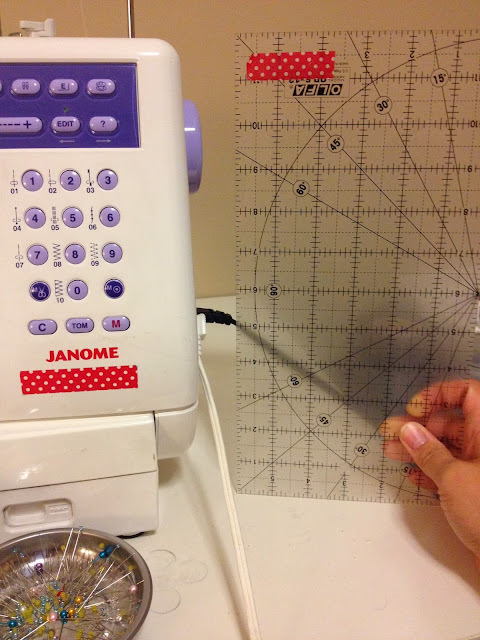 Anna shows us how simple it is to make this sewing machine cover, read on. Hi everyone! This is Anna from HootnHaller. 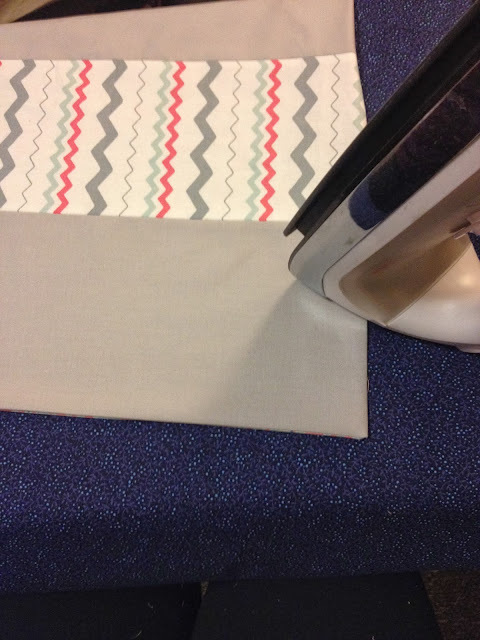 I am so excited to share a tutorial today for a quick and easy sewing machine cover. I have been meaning to make a cover for my machine for over a year, but something else always takes precedent. 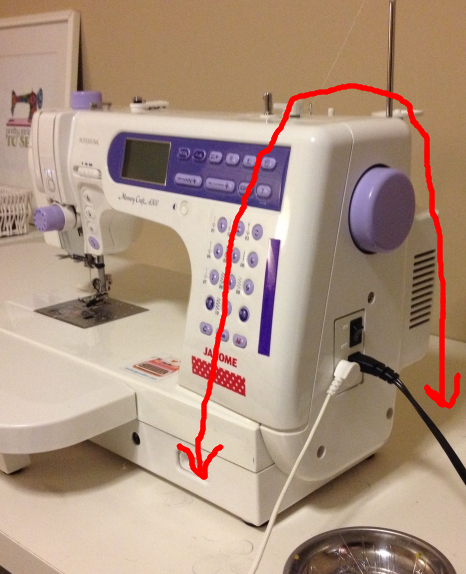 Recently, I have been learning a lot about the maintenance of sewing equipment and now I completely understand the importance of keeping my machine away from added harmful dust! This sewing machine cover is meant to be a super fast project so that you can squeeze it in between your many other sewing projects. Before you begin your cover you will need to take three measurements of your machine. First, determine the width of your machine. Second measure from the bottom of the front to the bottom of the back, going over the machine. See the photo below for more clarity. Third, determine the height for the side ties that will hold the cover onto the machine. I chose to place my ties 7" from the table. The measurements for my machine were 18.5" x 30". 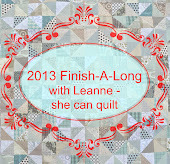 The next step is to make a "quilt top" that meets the measurements you took for your machine. You can make your sewing machine cover with elaborate patchwork or even choose to use the whole cloth method. Since my sewing machine is set up in my bedroom, I chose to create a simple patchwork top that would fit in well. Next, cut a piece of fabric to the same dimensions as your top. This side will most likely face the inside of your machine - though you could definitely make your machine cover reversible! Layer the top and backing right sides together. Cut your ribbon into four sections, each at least 12" long. Go back and double check the measurement you took earlier for the placement of the ties. Use a ruler to measure your determined distance from the end of the cover. Place the ribbon in between the two layers and pin in place. You will do this four times - twice on each of the long sides of your machine cover. Place pins around the perimeter of your machine cover. Mark a 3-4" section at one of the ends where you will not sew. This gap will be used to turn your cover right sides out. Sew a quarter inch seam around the perimeter. 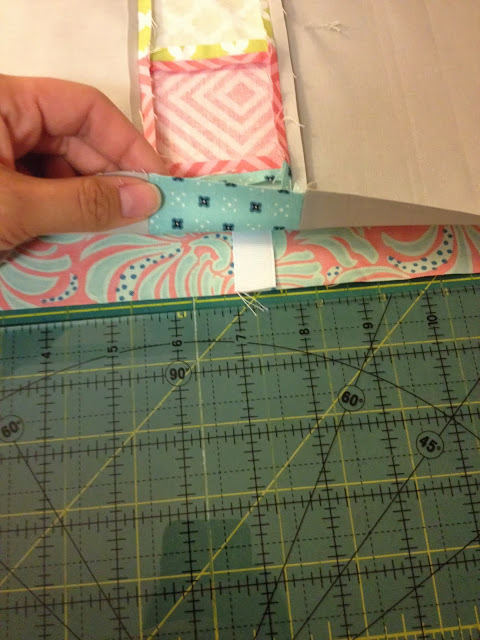 Clip the corners to eliminate bulk from the seam allowance. Now, turn your project right sides out! Use a blunt object object, such as a pen, to push the corners out. 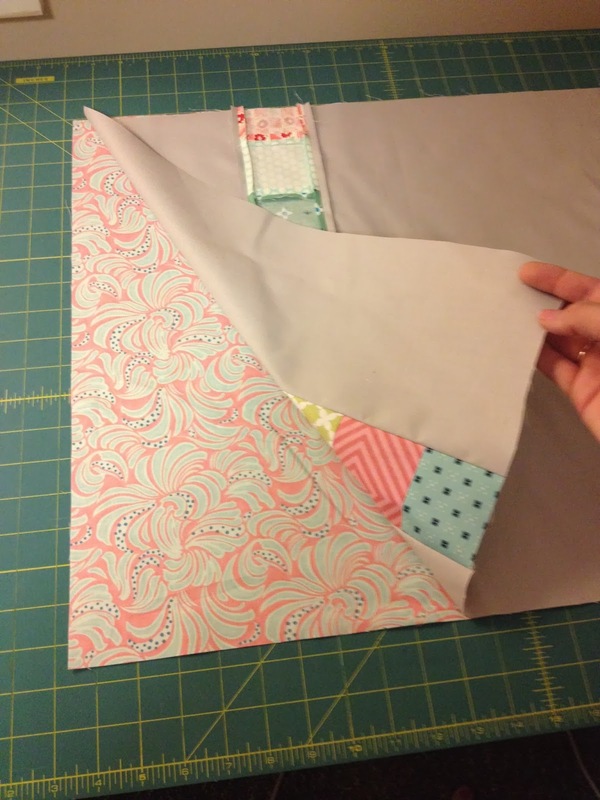 Give your project a good press, make sure that the seams are pushed out and even. Topstitch around the edges of your cover using a one-eighth inseam allowance. You will probably want to pin the turning hole shut to ensure that you stitch through both layers. 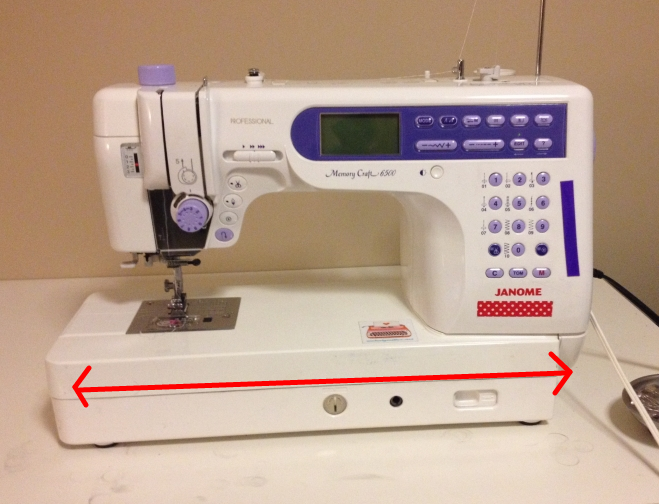 Once you have finished the top stitching you have a completed sewing machine cover. Tie it onto your machine and enjoy! I hope that you liked this tutorial and that you will cover up your machine to keep it safe from dust! 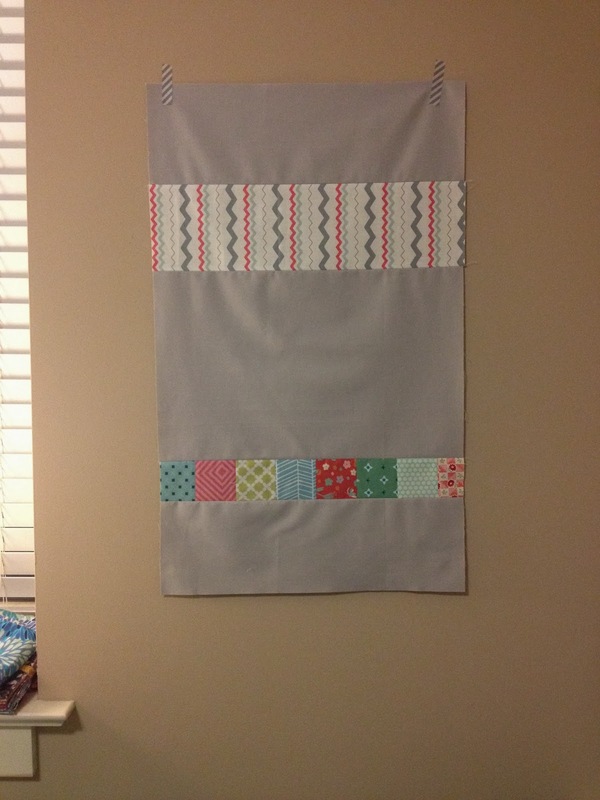 Nice tute and easy project. Just the way I like. Great job! Thanks for sharing. Have a great weekend. Thanks for sharing - it's a great idea and my machine is the same! Such a nice and easy design! I like Anne's no fuss approach! Really cute and nice that it's a simple design so hopefully lots of folks will be inspired to whip one up! Love how the design is reversible and you can just flip it the other way depending upon your mood. My machine deserves a pretty cover, thanks for the tute. I so need one of these....especially in my new sewing room!!! Thanks!! !